Ball(s) to the Wall: "I've got to admit it's getting better, a little better all the time"
"I've got to admit it's getting better, a little better all the time"
Well here I am at Vanderbilt for round 3. But, for those of you who haven't seen the news on Facebook; my tumor markers have dropped from 380 to 66. Once again another significant drop. My oncologist also explained to me that since my numbers are responding so well, I will not need to undergo stem cell transplant chemo. She did say that I will have to have surgery post chemo, which I was prepping for from the beginning. I asked how much the tumor had shrunk, and she said that it had shrunk 1cm in 2 dimensions (not sure what that means). I then was curious as to why my numbers dropped so much, yet my tumor barely shrunk at all. She explained that just because the numbers are dropping, doesn't mean that the tumor will shrink at the same rate. She believes that the bulk of my tumor is made up of teratoma (only look up if you have a strong stomach) which doesn't respond to chemotherapy. But overall I am excited about what's to come. Knowing that this could all be behind me by summer is a great feeling. The thing that excites me the most is being able to have a normal life. Being able to golf whenever I want to, live a normal life with my wife and finish working on my house is awesome. I also can't wait to figure out God's plan for me. In reality, that is really what excites me the most. It's funny, my dad was with me on Monday when I found out my tumor markers had dropped substantially yet again, my dad gave me a hug and whispered to me, "you see, God has some big plans for you". I have no doubt that he does, and I cannot wait to find out. I guess I will go ahead and give you a preview about what tomorrow's blog is about. 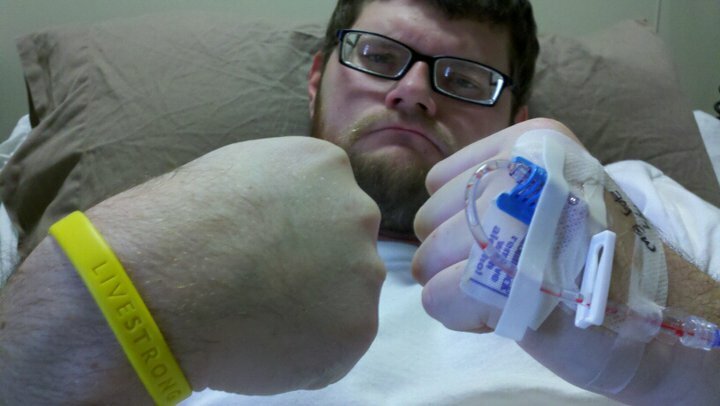 I've never told you all about me finding out about cancer, or my treatment over the summer. So, I would like to tell you about my experience over the summer so that you can have as the late Paul Harvey would say "The rest of the story". Good night and God bless. My title was taken from The Beatles "Getting Better" from Sgt. Peppers Lonely Hearts Club Band.